E. Cooper and Associates works in collaboration with highly qualified colleagues around the world. By drawing on their combined and multi-facetted expertise we are able to develop and complete a wide range of projects related to enforcement capacity building and conservation of natural resources that are impacted by trade in wildlife. Richard Charette graduated from Montreal University in the field of Biology. He started his career with Park Canada as a park naturalist in charge of the visitor education program. He then became a teacher at Baie-Comeau College for 14 years and developed an expertise in adult training and specialized training for wildlife officers. 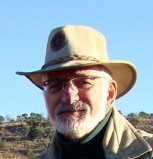 In 1994 he developed the first of a series of CITES Identification Guides to help Customs and Wildlife Officers worldwide identify CITES species in a user-friendly way. He received the Clarke Bavin recognition for the publication of eight guides, in seven languages, on the identification of birds, crocodilians, turtles and tortoises, butterflies, sturgeons, tropical woods, hunting trophies and falcons. He became a wildlife enforcement officer for Environment Canada in 1995 and then Coordinator for the inspection program in 1997. In 2006, he was promoted to the National Director for the Wildlife Enforcement Directorate of Environment Canada and retired in 2011. In 2012 he became the Senior Training Advisor for the INTERPOL Environmental Security Sub-Directorate. Richard speaks French, English and Spanish; and is based in Quebec, Canada. Pauline Verheij graduated from the University of Amsterdam as an environmental lawyer in 1995. She is an independent consultant who specializes in the investigation and prosecution of transnational wildlife crime, particularly violations of CITES. Pauline worked for nearly a decade as a legal advisor with the Dutch police (Serious environmental crime unit) and as a policy advisor on wildlife crime with the Dutch Public Prosecutors office consecutively. From 2009-2012 was the Tiger Trade Programme Coordinator for TRAFFIC/WWF, based in Malaysia. In 2012 she founded EcoJust; through which she advises international NGOs and intergovernmental organisations on issues related to the poaching and illegal trade in endangered species. She is an advisory board member of the Elephant Action League, Global Eye, board member of the Moroccan Primate Conservation foundation and an advisor to WildLeaks, the first secure platform for wildlife crime whistleblowers. 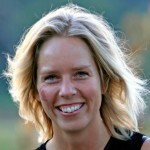 Pauline speaks Dutch, English, German and French; and is based in The Haag, Netherlands. Les Sampson graduated with an Honours Degree in Public Administration from Carleton University. From 1981 to 1994, Les worked for the Canada Border Services Agency as a Customs Officer, Customs Investigator and Customs Superintendent. Part of Les’ duties during these years involved inspecting and searching shipments of CITES listed wildlife and wildlife products. 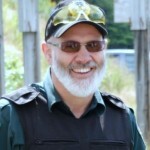 From 1994 to 2014, Les was a Federal Wildlife Officer with the Canadian Wildlife Service and Environment Canada. During these 20 years Les conducted thousands of inspections on CITES listed wildlife and wildlife products; and carried out hundreds of investigations into smuggling and other illegal wildlife activities in Atlantic Canada. Three of these investigations involved cooperative multi-national investigations of large-scale international smuggling of elephant ivory, narwhal tusks and queen conch meat. These investigations were three of the largest and most significant CITES enforcement files in Canada and all resulted in successful prosecutions. Les is based in Nova Scotia, Canada. Your site looks great and it appears you have the makings of a wonderfully skilled and dedicated team. Good luck!